Award Winning Worksop Light Operatic Society are back this May with another iconic musical, South Pacific. 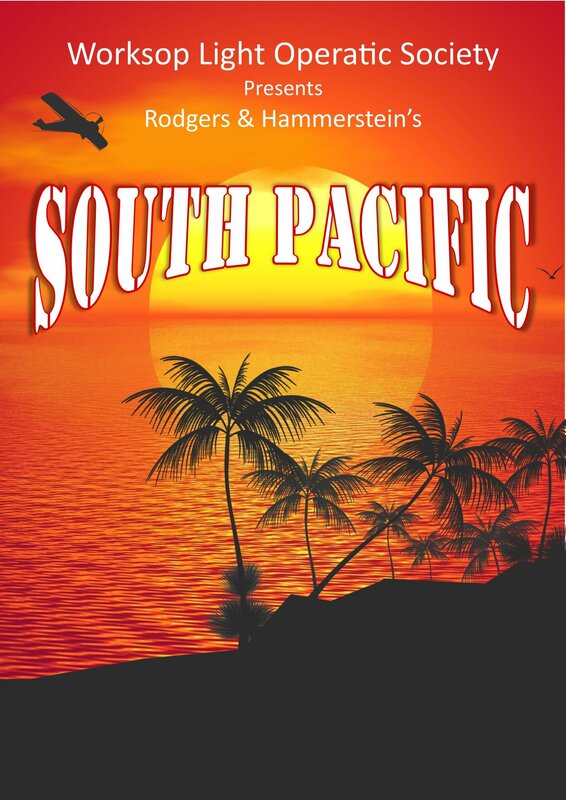 Set against the dramatic background of an idyllic South Pacific island during WWII, Rodgers and Hammerstein’s South Pacific intertwines the themes of romance, duty, and prejudice to create a story that is all at once hilarious, heart-breaking, and thought-provoking. The musical follows two intercultural love stories: Nellie, a spunky nurse from Arkansas, falls in love with Emile, a French plantation owner on the island who has two children from his late Polynesian wife; at the same time, U.S. Lieutenant Cable falls for a beautiful island native named Liat. Both Americans find themselves struggling to reconcile their own cultural prejudices with their amorous feelings, all the while under the dark cloud of a war that is coming ever closer to their island paradise. An amazing spectacle of musical theatre not to be missed!